In-memory dynamic code technology is widely used in buffer-overflow attacking, packer software, code protection, etc. This technology is to write a piece of code which can be executed from any addresses in the memory space of a process. 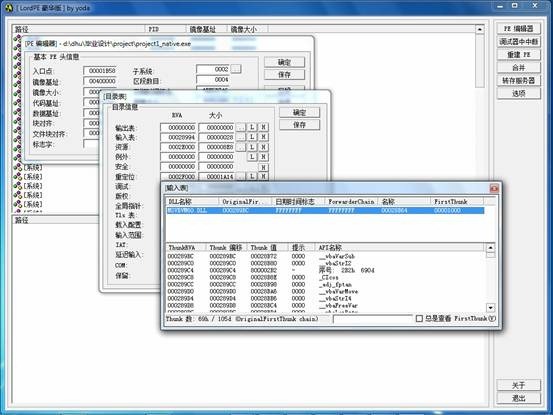 Nowadays, dynamic code is usually written in assembly language directly. This often causes difficulties in programming and maintaining the code and increases the risk of software engineering. In this paper, a method of converting Windows executable file to in-memory dynamic code was introduced. And the detailed implementations of the method were provided including the design and combination of the dynamic code, a command-line based converter and a GUI shell. 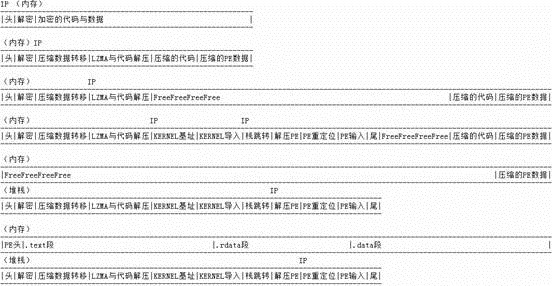 Several technical problems such as reading and analysis of the Microsoft protable executable files, self base relocation of the code, by-passing of the data execution prevention, compression and decompression of the data, importation of the system APIs were discussed and solved in this paper. 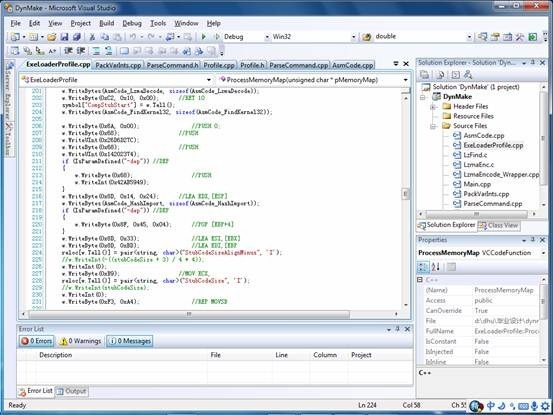 Developers can convert the executable files which are compiled by high-level languges to dynamic code easily by using the method provided in this paper. They can pay their attention only on the software designing without caring about the implementations in assembly language and what happened in the platform level. As a result, the difficulty of developing applications using dynamic code technology can be obvious decreased. 段钢. 加密与解密 [M]. 3版. 北京：电子工业出版社, 2008. Charles Petzold. Programming Windows fifth Edition [M]. Redmond, Washington, U.S.A.: Microsoft Press, 1999. Jeffrey Richter, Christophe Nasarre. Windows via C/C++ [M]. 葛子昂，周靖，廖敏，译. 北京：清华大学出版社, 2008. Anon. Summary of the multiple file compression benchmark tests [EB/OL]. [2012-05-12]. http://www.maximumcompression.com/data/summary_mf.php. iceboy_. 7z LZMA C SDK 移植备忘 [EB/OL]. (2009-12-04) [2012-05-12]. http://hi.baidu.com/iceboy_/blog/item/bb46888338ccaf9af703a64f.html. Nicolai M.Josuttis. The C++ Standard Library [M]. 侯捷，孟岩，译. 武汉：华中科技大学出版社，2002. 梁效斐. 打造世界最小LZMA解压DLL（最终话） [EB/OL]. (2012-03-23) [2012-05-12]. http://lxf.me/158. SkyLined. 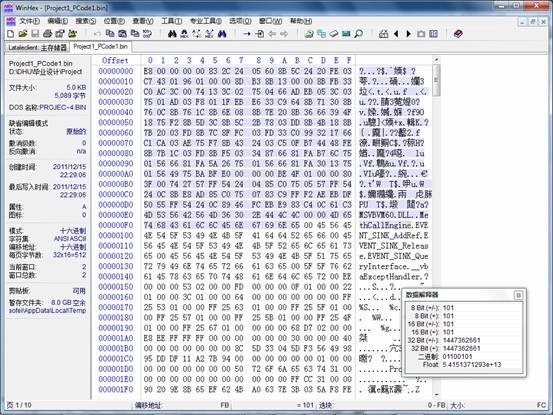 Shellcode: finding the base address of kernel32 in Windows 7 [EB/OL]. (2009-07-22) [2012-05-12]. 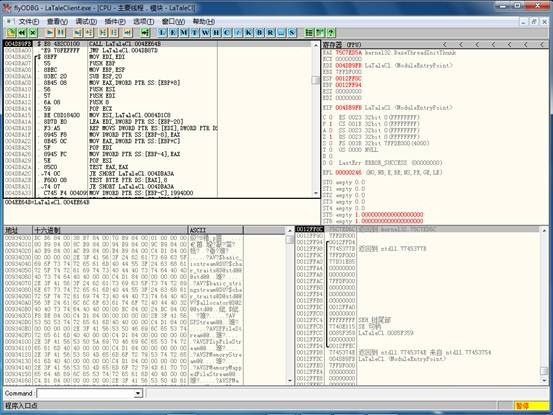 http://skypher.com/index.php/2009/07/22/shellcode-finding-kernel32-in-windows-7/. Microsoft Corporation. 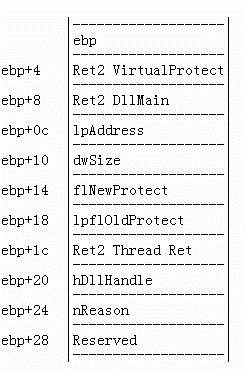 Microsoft Portable Executable and Common Object File Format Specification [S/OL]. (2010-10-05) [2012-05-12]. http://www.microsoft.com/whdc/system/platform/firmware/PECOFF.mspx. 于鹏. 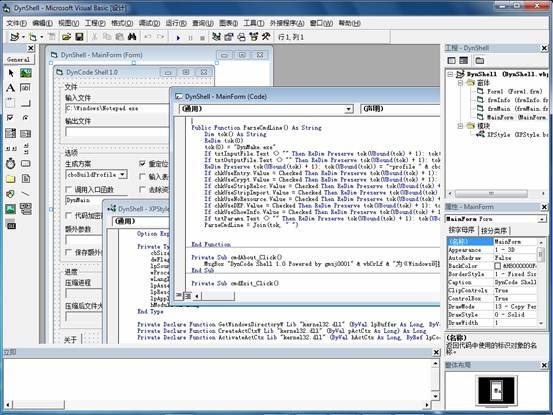 Visual Basic 6.0案例教程 [M]. 北京：电子工业出版社，2005. hebeizjq. （原创）VB中利用API调用保存文件对话框和打开文件对话框 [EB/OL]. (2009-04-17) [2012-05-12]. 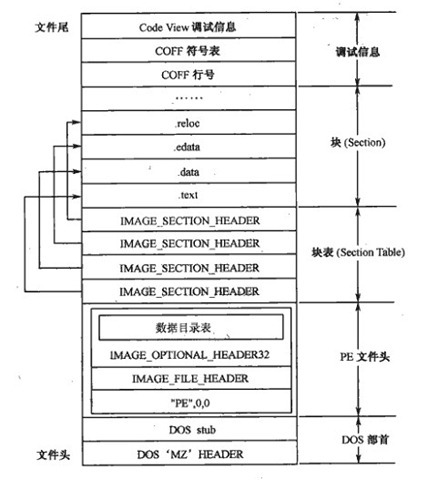 http://hi.baidu.com/cive/blog/item/84837127c172840b908f9d5f.html. Microsoft Corporation. Visual Basic Package and Deployment Wizard. [CP/CD]. Redmond, Washington, U.S.A.: Microsoft Corporation, c1998. goodname008. （结论）如何对CMD窗口进行输入输出重定向 [EB/OL]. (2005-10-27) [2012-05-12]. http://topic.csdn.net/t/20051027/10/4353375.html.